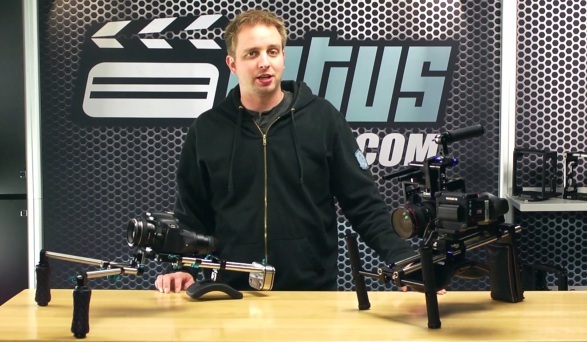 If Shane Hurlbut’s excitement for his new collaboration with Letus Direct didn’t convince you of the benefits of the Master Cinema Series rigs, then perhaps Aaron’s comparison will. In this video, we see how the MCS rigs are built to emulate true film style cameras and how the “traditional” rig designs that many of us have been working with for the past few years aren’t the best for filmmaking. The the MCS Shoulder Bundle is amazing! Talk about quality and attention to detail. The weight of this system, on your shoulder, gives makes pans and tilts smooth. It feels like it’s another part of your body. Take off the Velcro shoulder pad and it’s ready to sit on a tripod. This is where I really appreciated the weight of this system. Buttery sweet pans and tilts! The view finder mechanism is in a word, genius. Allowing ultra quick changes from the shoulder position to a tripod mount makes any camera man’s job easier. I am using the Zacuto Z Finder Pro with this and love it. Just like the videos I have watched the system disassembles with ease. Leave your camera in the cage and this thing can be ready to rock in seconds, not minutes. Can’t wait for the EOS C300.